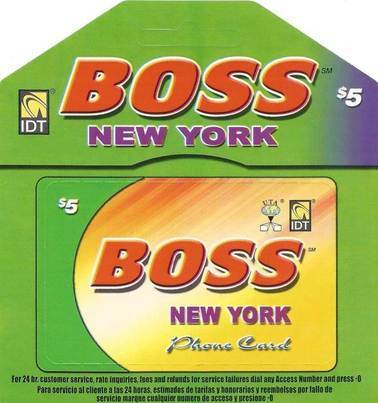 BOSS New York - Phone cards - Big Sale Today ! 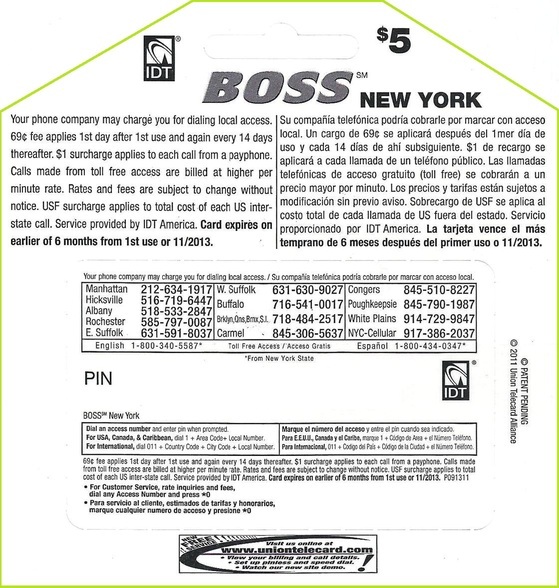 Phone card Boss New York $5. Access Number NY: (718) 484-2517. Location – US and Canada Toll Free Access Number: (800) 499-2617– English , (800) 340-5587 –English. Works from New York State Only! (800) 499-2807–Spanish, (800) 276-3956–Russian, (800) 887-1921-French, (800) 887-2307–Italian, (800) 887-2429–Korean, (800) 909-5547–Polish, (800) 274-9875–Arabic, (800) 795-2892–Turkish.